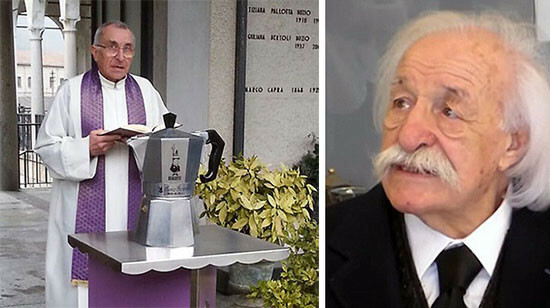 The creator of one of the most ubiquitous Italian industrial designs of the 20th century, Renato Bialetti, has died and was interred in one of his designs—the octagonal Moka coffee maker. Bialetti acquired the patent for the stovetop percolator in 1933 and promoted it with own image on the side. He eventually sold more than 330 million units around the world. The ashes in the coffee maker are in his family tomb in Omega, outside Milan.